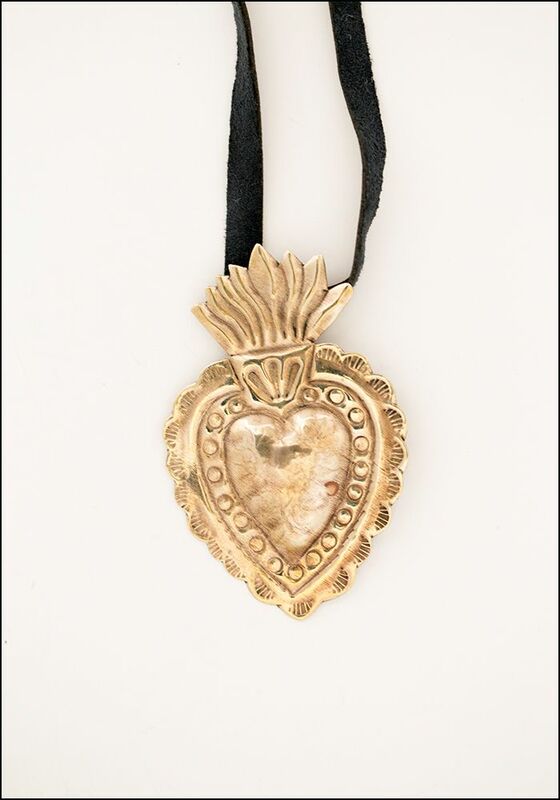 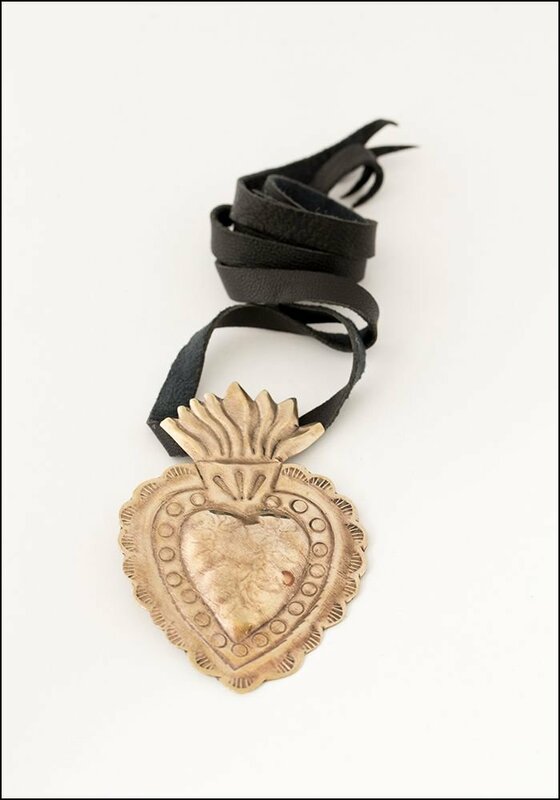 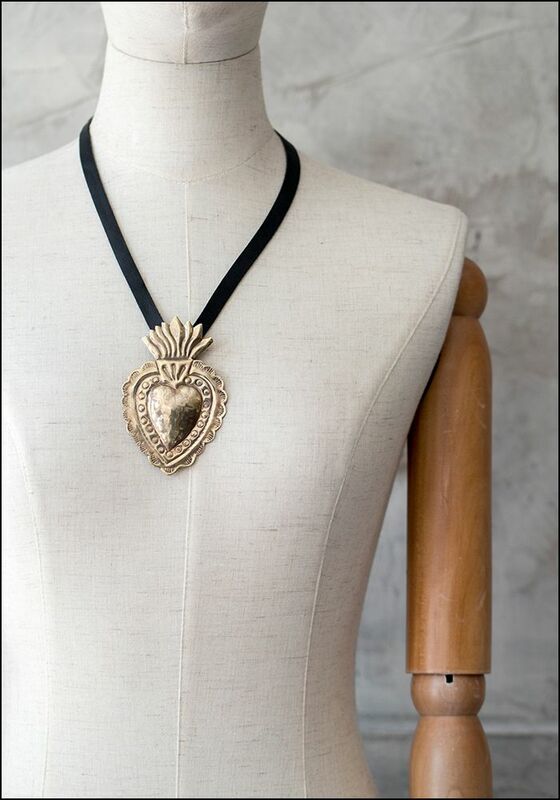 Whether it's worn as a killer statement piece or used as a gorgeous piece of decor, this hand made heart milagro is a simply stunning. > Pendant length: 4". 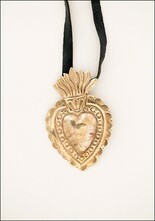 Width: 2.25". Leather cord is adjustable.